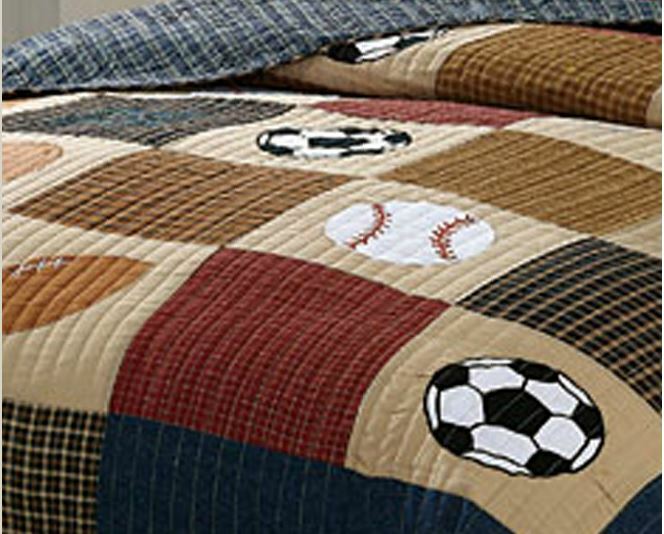 Rally your all-year-round athlete with this Classic Sports bedding that features baseball, football, basketball, hockey and soccer appliques. 100% cotton quilt inside and out features sport appliques among navy, tan, winter green, copper brown, taupe, denim and rustic red plaids and solid patchwork. Reverses to a blue plaid. Accessories: crisp white 100% Cotton sheets with a soft 200 thread count features sports appliques along the hem. Navy blue bedskirt completes the look. 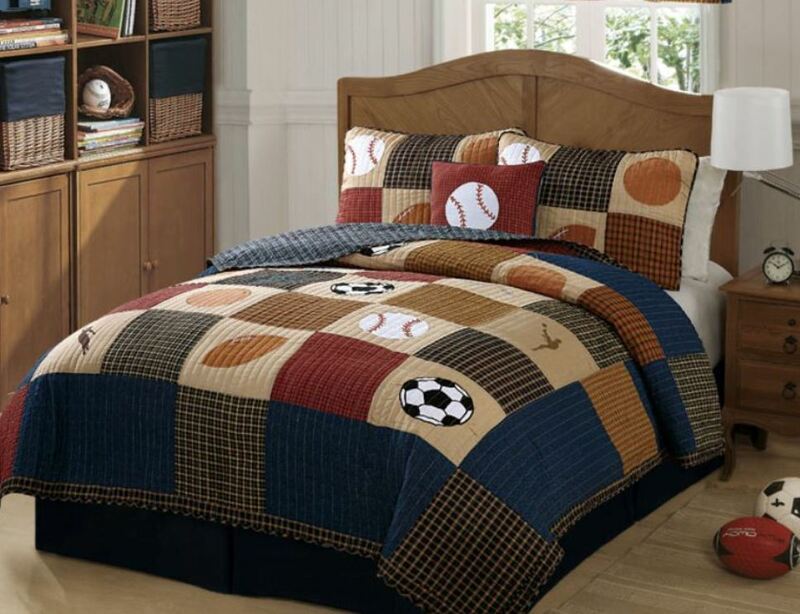 Make his dream come true in your champ's bedroom with this winning bedding set!